Mercedes-Benz, BMW and Audi are among the automakers that are planning to show their latest tech innovations at the 2015 Winter Consumer Electronics Show (CES) that is held annually at the Las Vegas Convention Center in Las Vegas, Nevada. The show opens on January 6 and will last until January 9. 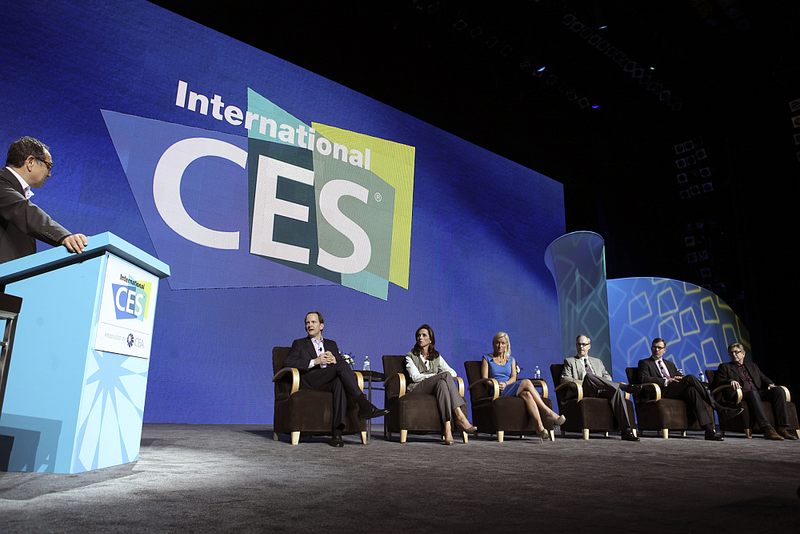 A record number of ten automakers will be presented at the 2015 CES next week. It’s only a week before the Detroit Auto Show, the auto industry’s most important annual trade event, and there’s something that forced some of the biggest auto manufacturers like Hyundai, Audi, BMW, Mercedes, General Motors, Chrysler, Toyota and others to ship a great number of cars to Las Vegas at a convention dedicated mainly to the consumers and entertainment technologies. It seems car buyers nowadays are more interested in a car that is an extension of their digital lives like smart phones or tablets than the traditional car styling or horsepower. The sales of factory-installed technologies in cars are expected to reach $11 billion this year, according to the Consumer Electronics Association. Car buyers embrace enthusiastically the new technologies such as the 4G LTE connectivity (an abbreviation for Long-Term Evolution), as well as adaptive cruise control, collision avoidance, intelligent parking assist system and many other that enhance safety while driving. At CES Mercedes’ Zetsche is planning to unveil an egg-shaped self-driving car that was teased on Facebook only a few days ago. Their autonomous car will feature Intelligent Drive system, which includes 3-D stereoscopic cameras, radars and sensors that allow the car to automatically brake when it is needed, stay in its lane and drive in traffic jams. During the convention, BMW is expected to unveil a concept car with Laserlight headlights. The lights are among the first use laser technology 30 percent more energy-efficient than LEDs and illuminate up to about 2000 feet –or more than six football fields. Toyota will demonstrate its concept of zero-emission fuel cell vehicle, which combines hydrogen and oxygen to create electricity. The advantage of fuel cell car over electric car is that hydrogen refueling takes only three to five minutes. The big buzz among automakers is the debut of Google’s Android Auto and Apple’s CarPlay. Last month, Hyundai confirmed that it will showcase its new Display Audio head unit at CES 2015. The new head unite will integrate both Android Auto and Apple’s CarPlay designed for 2015 Hyundai’s most affordable models. Each of the systems allows a driver to plug in a smartphone to a car’s USB port and control the smartphone from the infotainment touch screen of the car. A driver can use the car’s LCD screen or voice control to make phone calls, send text messages or use other applications.